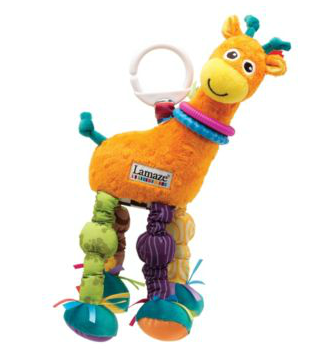 If you were so lucky to see it, did you notice the great new Lamaze toys in the film? 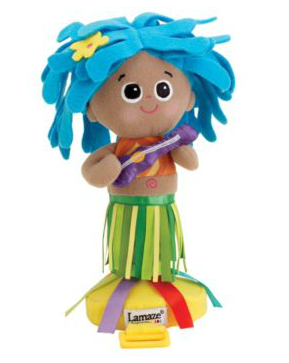 Lamaze has some of the best toys and I have always loved their toys for my children! They are colorful, fun, and educational! 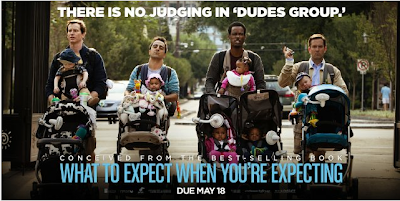 This great movie poster for "What to Expect When You're Expecting" shows THREE different Lamaze toys: Stretch the Giraffe, Ovtivity Time Octopus and Hula Girl Travel Toy. I was so excited to receive these for my daughter to play with! They were all super colorful and fun but the favorite with BOTH my children was the Stretch the Giraffe! Stretch the Giraffe is so colorful and cuddly and my two year old had to hold Stretch the entire five hour road trip we took a couple weekends ago! My daughter loved the different noises Stretch makes like crinkling, squeaking and all the colorful ribbons, legs and rings! Now with refreshed colors and fabics! The Hula Girl Travel Toy was so fun and I love how it reminds me of the grown up version people put on the dashboard of a car! It is perfect for attaching to any seat or stroller and I love how she "hulas" with the movement! The Octivity Time is such a great toy for getting your baby to interact and learn cause and reaction! This toy makes fun noises like crinkling, squeaking, and clinking so it really causes my daughter to smile and interact. This toy will definitely be perfect for playing with my daughter when she is a little older since it is meant for ages 6 months and up. With each activity, baby learns to make something happen...all by himself! If you are looking for some fun, stimulating, and colorful toys for your infant, you have got to check out these fun toys from Lamaze! They are so great they were even featured in the new "What to Expect When You're Expecting" movie! 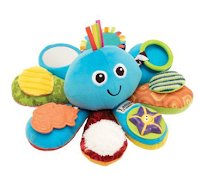 Buy It: You can purchase all these Lamaze toys on the Tomy website. Win It: Lamaze is generously offering Stretch the Giraffe, Octivity Time, and Hulu Girl Travel Toy to a lucky winner! I love the Hula Girl!